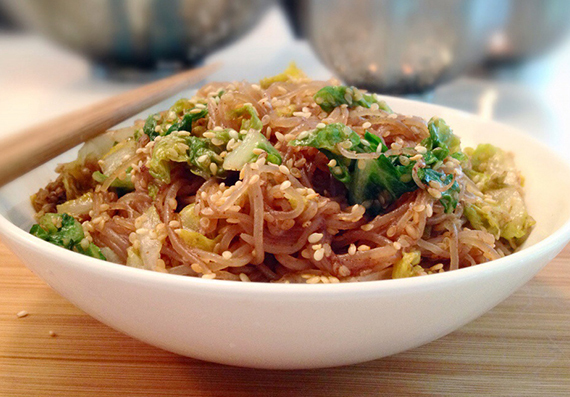 You can easily prepare konjac foods at home using the following simple recipe! 1/8 teaspoon of Pickling lime. Pickling lime is food grade lime. Food grade lime is mild alkali. Its main component is calcium Hydroxide. Add 2 teaspoon of konjac flour (glucomannan powder) into water bath, then add two cups of water. Stir continuously and bring it to boiling. Keep boiling for about 3 min. In a separate vessel, add 1/8 teaspoon of pickling lime into water. Mix well. This limewater is necessary to induce gel formation in glucomannan. Add limewater into the boiling bath and continue stirring for about 5 minutes without taking it off the flame. Commercial konjac foods can be made into many different styles and shapes, thread, ball, patch, hollow, cakes, noodles, slices, chips, tofu. Commercial konjac foods such as shirataki noodles or konnyaku can be found on some Asian super market. You can also add glucomannan gel to soups, puddings, gravies etc for increasing the soluble fiber content of your regular diet! The primary component of the konjac root is glucomannan, a soluble fiber consisting of glucose and mannose subunits. 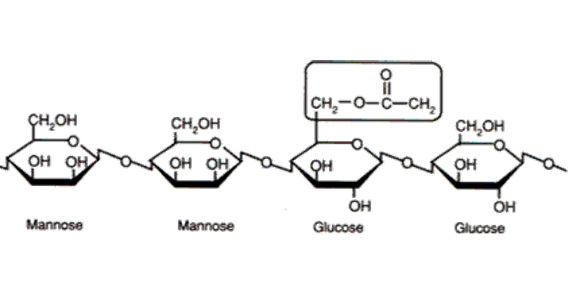 Glucomannan is a high molecular weight polysaccharide consisting primarily of mannose and glucose sugars and is a source of soluble dietary fiber. Glucomannan is nature's most viscous soluble fiber, with the highest water holding capacity, and largest molecular weight among any dietary fiber. Konjac foods are made of glucomannan derived from the tuber (root) of konjac plant, which originated in China and Japan. Konjac foods has been used for more than 2,000 years in Japan as part of a healthy diet. In the United States konjac has been used as a thickening and gelling agent in processed foods for many years. With konjac food in your diet, you can enjoy benefit of soluble fiber in your diet without adding any extra calories or undesirable colors or flavors. It is the ideal food for diabetes, heart disease, obesity and IBS.